You are here: Home / Blog Posts / What happens to Bend homes for sale in Winter? What happens to Bend homes for sale in Winter? A client recently asked me what happens in the Bend, OR real estate market in the winter. As I described some of the historical trends to her, I thought this might be helpful for other people in the market for Bend Homes for Sale. Now, what’s been an even larger force in the market is an overall reduction in listing inventory, which dwarfs the normal seasonal fluctuations. The graphs below are all for Bend <$200k. 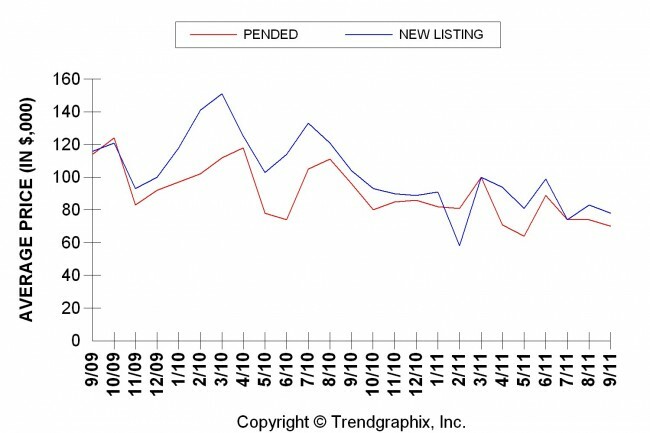 As you can see, new listings have been declining and the standing inventory has been dramatically reduced in the last 2 years. As listing inventory has dropped, so has the number of sales and pending contracts, but this is what you would expect when people have fewer to choose from. As you can see from the above graph, there hasn’t been a big change in $/square foot. 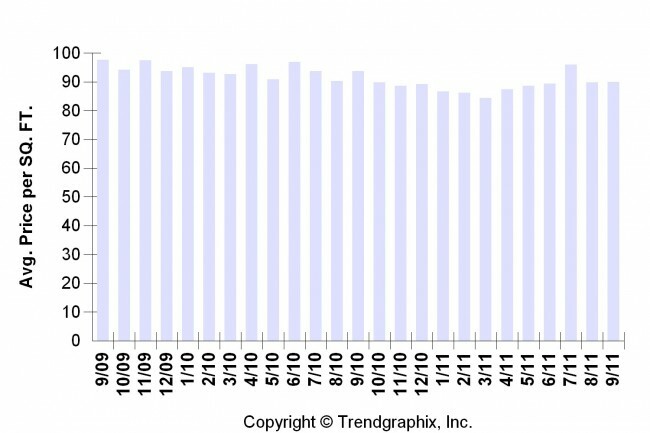 Housing values are remaining almost constant, even though the press likes to report on every blip and fluctuation. This could be the reduction of inventory putting upward pressure on prices at the same time the economy is putting downward pressure. No one really knows. The above graph is where a lot of this information plays out. 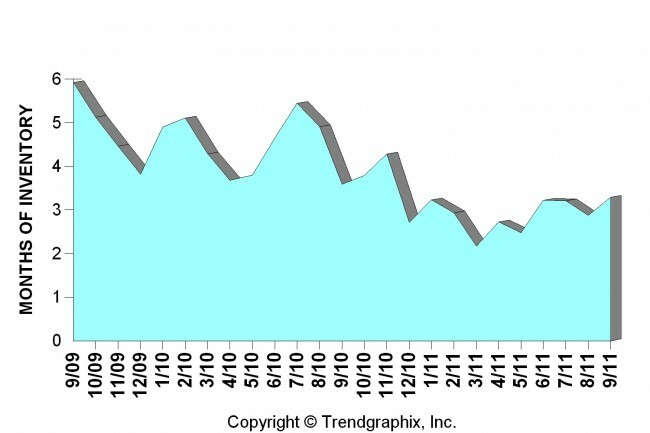 The Months of Inventory graph shows “based on how many houses are selling right now, when would we be out of houses if no new ones came on the market”. Less than 6 months is considered a “healthy” or a “seller’s market”. Over 6 months is a “buyer’s market”. As you can see, the <$200,000 market in Bend is very healthy. 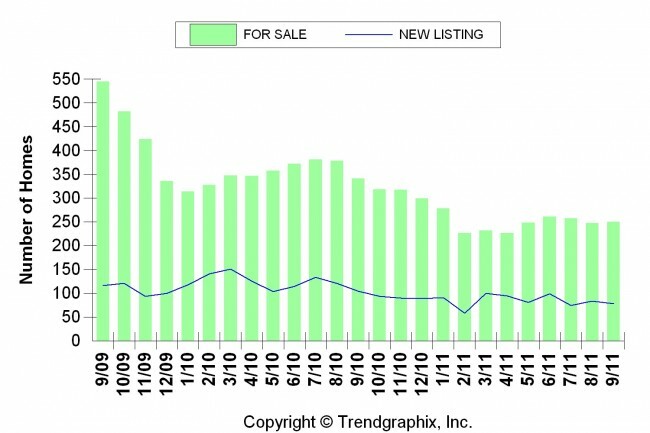 Now, fewer sales and more new listings will make this graph grow, and more sales and fewer new listings will make this graph shrink. (If you are a buyer, you want it to grow.) But it tells you both what you have to choose from and how many other people are competing with you for good homes. If we were looking at the market for houses $500k-$750k, it would show over 2 years of inventory, because those home are having a harder time selling (on an individual effort basis) and there are many to choose from. That competition in the higher price ranges is recently gaining the interest from buyers for neighborhoods like Broken Top, Awbrey Butte, and Awbrey Glen.